Desert Sky Pavilion, an outdoor concert venue located in Phoenix, AZ, opened back in 1990 as the Blockbuster Desert Sky Pavilion and has been the premier outdoor venue in Phoenix during the summer months for major contemporary bands and artists on their respective tours. Musical acts that have staged concerts at the Desert Sky Pavilion while making their Phoenix tour stop include: Green Day; Fall Out Boy; Jimmy Buffett; Dave Matthews Band; Neil Young; Van Halen; Metallica; Rush; Foo Fighters; Santana and Phish. This spring and summer and into the fall, the following bands and artists will be coming to Phoenix and playing the venue: Mumford & Sons on June 5; Kid Rock on July 24; Lil Wayne on August 25; Rascal Flatts on September 12; Keith Urban on September 29; John Mayer on October 2; Depeche Mode on October 8 and Jason Aldean on October 17. Tickets for all concerts at the Desert Sky Pavilion this summer can be found right here at SeatGeek. 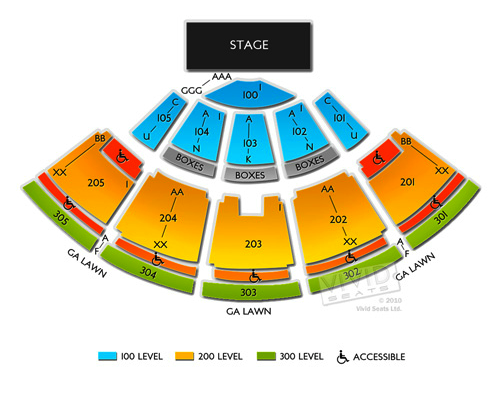 For a look at the seating chart for concerts at Desert Sky Pavilion, check out the image below. The venue seats 20,000.